Cop and ninja Mark (Bruce Baron) is investigating a string of jewel robberies. Working with Billy (Rey Malonzo from the source movie), the trail becomes hot and the Black Ninja clan decides to go after Billy. 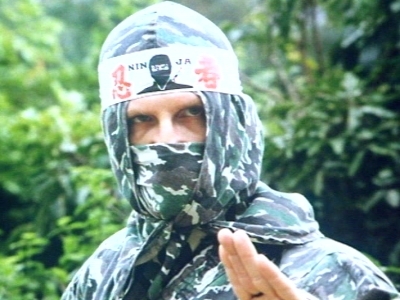 Eventually murdering his family, Billy goes off into the woods to learn martial arts. His aim, head honcho known as Red Devil. 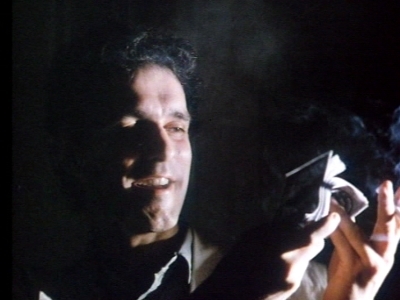 However Mark finds out the true brains of the operation may be someone close to him. 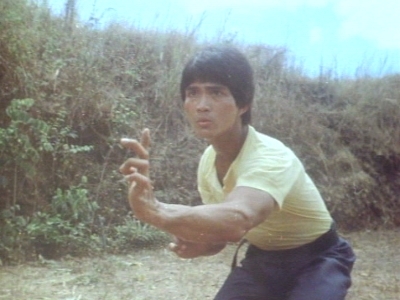 Not as dramatic as it sounds, Godfrey Ho and the IFD crew crafts standard cut and paste formula using something old and acquired (in this case Twin Fists For The Blackmasters from 1979, starring and directed by Rey Malonzo. Thank you to Andrew Leavold for this information). Evidence of spark is present, especially in the source movie and that feel can be tolerated but fandom for IFD's business practices doesn't mean accepting them going through the motions. While most of the ninja action as staged doesn't see Ho and action directors conjure up new creativity, early on there is a mild sense of joy seeing Bruce Baron use telekinesis on a stick to literally trip up his opponent but that is as wild as it gets here. Feeling initially wildly different compared to the source movie footage from the Philippines, there's a sense of relief IFD acquired a martial arts movie to combine with their, in this case, all too quick bursts of ninjitsu on screen. Because beats in Malonzo's film as well as style feels familiar to genre-fans and for once the source movie isn't an incoherent mess as combined by Godfrey. That's not to say the staging of Malonzo's action on a very low budget sparkles either but credit where credit's due, there is some talented performers on the production both in the hand to hand aspect of the martial arts as well as in the weapons-scenes. 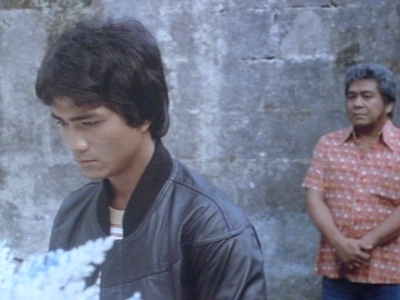 A bit too choppy and slow to matter on the world stage of kung fu, there is a decent sense of comfort viewing (highlights being the training scenes) and tolerable stretches here but Twin Fists For The Blackmasters is no gem. Even injecting some Bruce Lee mannerisms without much context or flair, our groovy looking villain Red Devil is at least celluloid that sticks. As for Godfrey Ho's sections with Bruce Baron, the Hong Kong crew gets a medium workout performing acrobatics and swordfights but most of the brief ninja challenges are awfully staged. Even in the so called narrative direction, these are actors following the beats of the scripts like robots. A sense of fun because you're poking fun, IFD and Ho clearly can't wait to move on back to the Philippines either so for all goodwill and creativity in movies like Majestic Thunderbolt, Ninja The Protector etc, Challenge The Ninja shows off the formula being uninspired and trapped within its stale framework.